Sept. 17, 2012 – Asheville, NC – Much to the excitement of musicians and jazz aficiandos worldwide, the highly anticipated CD release by jazz-fusion legends Scott Henderson, Jeff Berlin and Dennis Chambers, will be released on Tone Center Records (a division of Shrapnel Records) on October 16, 2012. Considered one of the most phenomenal trios in the history of jazz-fusion, HBC’s debut CD delivers a full dose of virtuosic performances guaranteed to thrill and inspire all who listen. Scott Henderson is considered one of the premier jazz-fusion guitarists performing on the planet today. Although Henderson claims to be more of a blues-rock player, with influences like Jimmy Page, Jeff Beck, Jimi Hendrix and Ritchie Blackmore, it was the influence of jazz that led him to the style of playing and composing he is now famous for. Henderson has recorded and toured with such notable artists as Chick Corea’s Elektric Band, Jean-Luc Ponty, and a four year stint with Weather Report legend Joe Zawinul. He formed the band Tribal Tech in 1984 with bassist Gary Willis, and recorded ten critically acclaimed albums. In 1991 Scott Henderson was named by Guitar World as the #1 Jazz Guitarist, and in January 1992 he was named #1 Jazz Guitarist in Guitar Player’s Annual Reader’s Poll. Henderson has also released three well-received solo albums as well as two releases with Vital Tech Tones, a trio collaboration with bassist Victor Wooten and ex-Journey/Vital Information leader Steve Smith on drums. As is often the case with a musician of Scott’s caliber, the demand is great that he share his knowledge with the current generation of guitarists. He is on the faculty at Musician’s Institute in Hollywood, and has written columns for Guitar Player, Guitar World and Guitar School magazines. Jeff Berlin is a legend of the electric bass, considered by many to be the finest electric bass player in the world. A true master of the bass, Jeff Berlin has played with the likes of Bill Bruford, Alan Holdsworth, AWBH and George Benson. Jeff Berlin’s resume reads like the who’s who of the higher echelon of music artists. Jeff Berlin was even asked to join Van Halen, an invitation that he actually turned down. Not only is Jeff Berlin a innovator in the jazz field, but rock players are constantly siting him as their major influence. Carlos Santana called Jeff the “best bassist in the world”, while Rush’s Geddy Lee used the phrase “best bassist on the planet!” Jeff Berlin’s innovative bass playing has influenced a generation of bass players world-wide. He was voted #1 Jazz Bassist by the readers of Guitar Player Magazine. Jeff also pioneered a technique called ‘two handed tapping’, when he performed this style on the track “Motherlode” from his 1985 debut solo album called ‘Champion’. The founder of The Players School of Music in Clearwater, Florida, Jeff has also been at the forefront of music education for almost 30 years. His columns in Guitar Player and Bass Player magazines were the most read columns due to their controversial content of music education. Jeff single-handedly has re-vamped music education by dismissing popular methods of learning such as using electronic tuners, metronomes, handgrips, tablature, or any study method that does not include musical content. 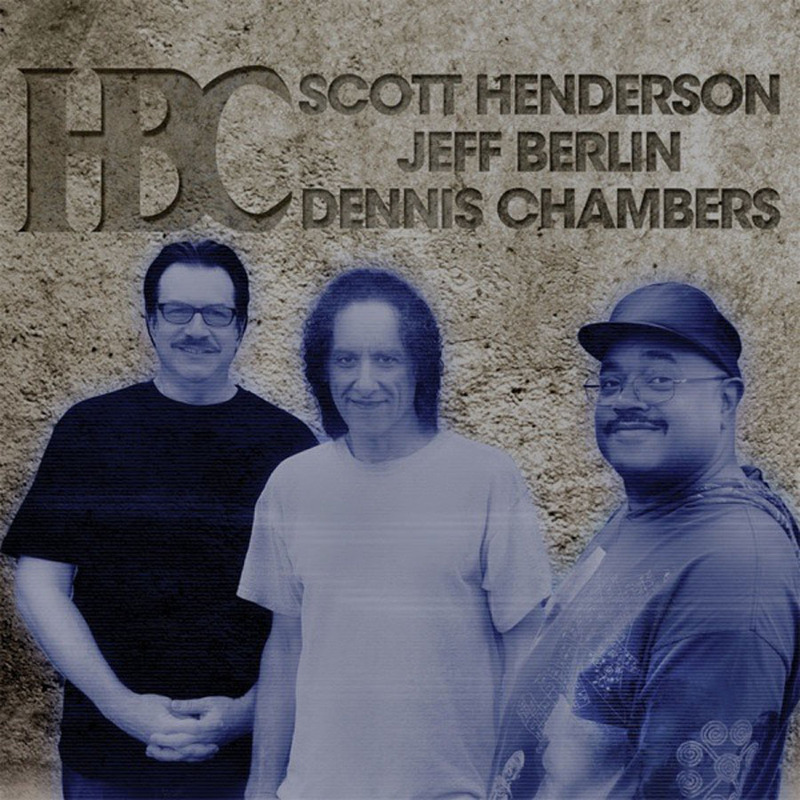 ‘HBC – Henderson, Berlin, Chambers’ will be available on Amazon, iTunes, Shrapnel Records and local record stores on October 16, 2012.